A very dear friend of mine…Mrs. Claus, threw a Santa Party for all of her friend’s…children and grandchildren! How sweet is that?! Miss Kaye…you have such a giving spirit. We love you. Her son, was Santa Claus and they did a tremendous job, showing us the joy of Christmas! Ahnalise, wasn’t too sure about this red man in a suit. But, Little Man was finally old enough…to get into the swing of the holidays. Little Marisa, well….she is a curious one, that is for sure. All the children, had an opportunity to sit on Santa’s lap and tell him, what they wanted for Christmas. Are you ready for this? He told Santa…he wanted a boat and a horse! Santa, told him…”I hope your Daddy has deep pockets!”…everyone laughed. After, the joyous party…we came home and grammie was able to capture a few more pics of the holidays. We will see you in 2016…. I am sure you had a very Merry Christmas and a Happy New Year with all of your sweet and darling family. Happy New Year Laurie. Hope 2016 is your best year yet!! That shot of Ahnalise crying is the best! What a fun party, and you’ve captured it perfectly with your camera and your talent! Lovely Christmas photos! 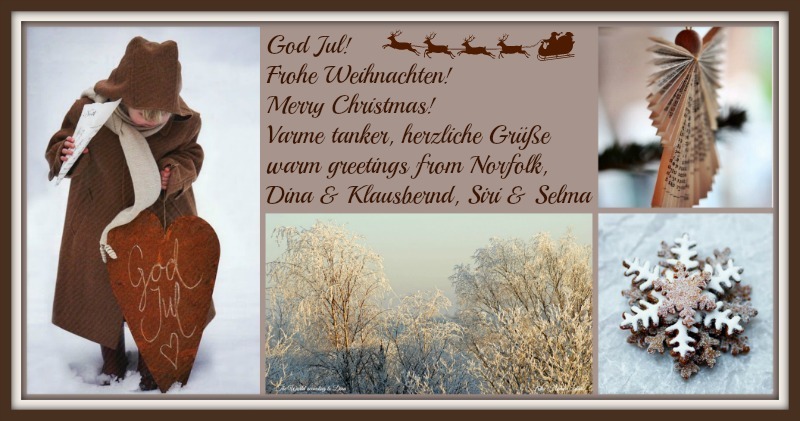 I wish you all a wonderful Holiday Season and lots of happiness in 2016! All the blessings of the season to you and yours. So lovely to see these photos of your sweet grandchildren. A joyous party indeed. Laurie, Merry Christmas to you and your family. Very sweet pictures! Wishing you all have a very blessed Christmas and a happy new year! Wonderful memories in these photos Laurie!! Merry Christmas to you and yours!! What gorgeous girl Laurie ! The boy has grown! Oh goodness Laurie! I can’t believe how grown up Little Man is!! Ho ho ho!! Merry Merry to you! You are lucky to have your grandkids near to take gorgeous pics of on Christmas. They are all so precious. Merry, merry! Great post for Christmas. All the best to you and yours. Love these. Wishing you and your family a very Merry Christmas and a Happy New Year. What a nice gesture! Christmas is so much more fun with children. Your angels are beautiful! They are lucky to have you to capture the moments in such a professional way. Happy Christmas to you and yours! oh the poor baby – scared to death – we all remember that fear! MERRY CHRISTMAS AND HAPPY NEW YEAR! How sweet is this!! Merry Christmas! Lovely! Merry Christmas and Happy New Yearto you and your family. Love the expressions on their faces. Still smiling at little man with the request for a horse and boat 🙂 Wishing you a Merry Christmas and Happy New Year!